Download the NanoSurface Cultureware product brochure for general information on cultureware products offered in a convenient PDF format. For additional information, please contact support@nanosurfacebio.com. Download the NanoSurface Cytostretcher product brochure for general information about NanoSurface Cytostretcher and Cytostretcher-LV products in a convenient PDF format. For additional information, please contact support@nanosurfacebio.com. 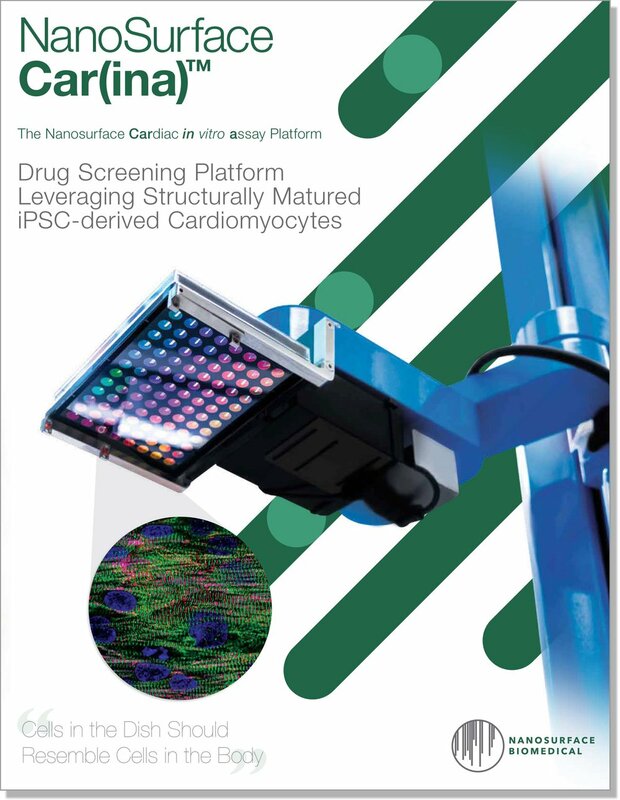 Download the NanoSurface Car(ina) platform brochure for information about the platform in a convenient PDF format. For additional information, please contact support@nanosurfacebio.com. Download the NanoSurface eCyte 6 system brochure for information about the electrical stimulation system in a convenient PDF format. For additional information, please contact support@nanosurfacebio.com.